Todd Hoppe serves on the firm's Executive Committee as Treasurer. He works primarily in the law firm's Grand Rapids office, helping clients with business organization and planning, transactions, succession planning and estate planning. Business Organization and Planning. Represents individuals and businesses in the agriculture, insurance, service, manufacturing and construction industries. He works with them on the formation and funding of new business entities as well as other organization and planning matters such as contracts with customers and suppliers. Business Transactions. Business buyers and sellers retain Todd for counsel on sophisticated mergers, asset sales and stock sales. Tax Exempt Organizations & Charitable Giving. Frequently represents corporations and individuals in establishing organizations exempt from federal income tax under Internal Revenue Code Sections 501(c)(3) (charities), 501(c)(4) (social welfare organizations), 501(c)(6) (trade associations), and 527 (political organizations). Estate Planning and Administration. Assists individuals with estate planning and administration needs on a wide range of matters including drafting of wills, revocable living trusts, charitable lead trusts, charitable remainder trusts, irrevocable life insurance trusts, grantor retained annuity trusts as well as intentional grantor trusts/intentionally defective trusts. Succession Planning. Supports family businesses on crafting and implementing succession plans that accomplish client goals. This often includes planned gifting, business sales, estate planning, and part-gift/part-sale transactions. Cooperative Law. Represents cooperatives including agricultural marketing cooperatives and supply cooperatives, consumer cooperatives and purchasing groups organized as cooperatives. His work includes forming cooperatives, serving as general counsel, advising clients on Capper-Volstead Act anti-trust compliance and other laws unique to cooperatives and representing cooperatives in specific matters. This includes business transactions and both private and state-registered securities offerings. 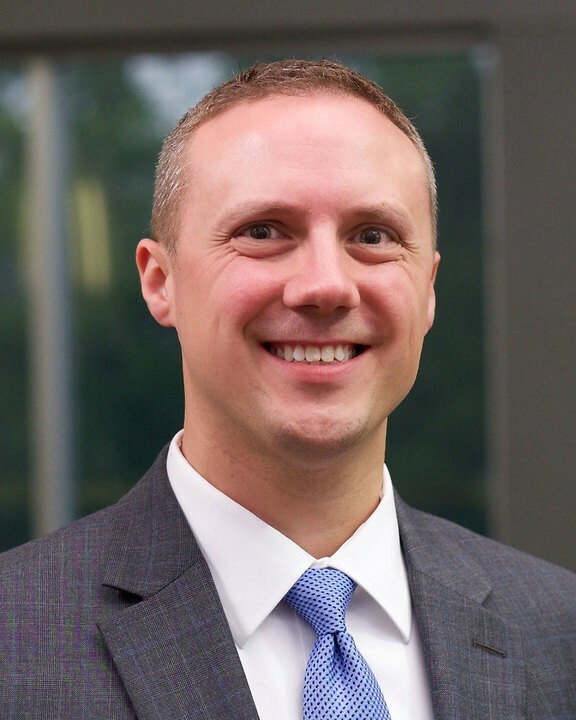 Todd credits the business law concentration of his undergraduate engineering degree for providing him the ability to communicate effectively with clients regarding complex technical issues they encounter in addressing their legal needs. An agricultural marketing cooperative wanted to expand services to its members by building a food processing facility. A team of Foster Swift attorneys assisted the client in the acquisition of a former automotive manufacturing plant and in structuring a complex financing arrangement that includes Michigan Economic Development Corporation bond financing and commercial bank loans and private equity financing to construct the facility. Todd was involved in all aspects of the financing transactions and in the construction process. He assisted the client in a private offering of securities exempt from registration under State and federal securities laws to partially fund the project. A nonprofit housing authority discovered it had never received IRS recognition of its tax-exempt status. Todd helped this client obtain exempt recognition retroactive to 1977. The younger members of a family wanted to acquire an agricultural manufacturing business from the prior generation. The business had approximately $20 million in annual sales. Todd helped with the negotiations, documentation and closing of the transaction. A physician failed to file federal and state income tax returns for more than seven years in connection with an IRS audit and was assessed federal income tax on approximately $13 million of estimated income. Todd ultimately obtained substantial federal income tax refunds and a waiver of state penalties for failing to file tax returns. Todd handled the formation of private family foundations and a food bank. He has also helped corporations establish tax-compliant, employee-dependent scholarship programs, represented donors creating community scholarship programs, and conducted board training to assist tax-exempt organizations comply with federal tax requirements. A group of clients sought Todd’s help with the formation of a charitable remainder trust to which the clients donated certain valuable real estate. He later assisted the trustee of the charitable remainder trust in the sale of the real property to a municipality in a transaction funded in part by Michigan Department of Natural Resources Trust Fund acquisition grants. Todd further assisted the client in overcoming substantial regulatory hurdles and in dealing with post-closing regulatory and environmental issues. The majority owner of multiple insurance agencies wanted to consolidate investment entities representing different investor groups. Todd prepared a series of transactions that merged substantially all of the agencies into a single insurance agency that is now among the 50 largest in the country. In addition, he restructured the agencies’ debt in a complex financing transaction and assisted the client in the sale of its interest in the resulting, merged agency to a private equity fund. As a result, the client is positioned for substantial growth through acquisitions of additional insurance agencies. Two families owned a large farm. They disagreed about how to manage their business, and about how to bring in their children as owners and managers. Todd represented one family, helping them avoid costly litigation. He structured, negotiated and closed a transaction under which the current farm partnership was liquidated. Todd's clients bought out the other family. The transaction was structured so that Todd's clients avoided having an immediate tax liability and the other family deferred most of its income tax liability from the sale. The sale was also transacted in a way that minimized state real estate transfer taxes, saving thousands of dollars in unnecessary costs. After closing the buy-out, Todd helped his clients with succession planning. They have now implemented a plan to allow younger generation family members to earn ownership interests in the farm as it grows in the future. A husband and wife owned farm land used to grow cash crops, valued at more than $15 million. Todd helped the family set up a transaction under which they transferred the land to a new Michigan limited liability company (LLC) and then gift and sell the LLC to an irrevocable grantor trust. This is a special type of trust that benefits younger generations of the clients' family for many years to come. This transaction will help the clients minimize their estate, gift, and generation-skipping transfer tax liability, by transferring all growth in the value of the family farm land to the younger generations, on a tax-free basis. This transaction has the potential to save the clients millions of dollars in federal death taxes. Todd worked as part of a team of Foster Swift lawyers to help a manufacturing client purchase another business for approximately $10 million. The transaction will help Foster Swift's client to better service one of its customers located in another NAFTA country. Todd's clients are charitably inclined and also want to transfer wealth to their children without incurring estate, gift or generation-skipping transfer tax liability. Todd helped the clients form a series of Charitable Lead Annuity Trusts (CLATs), which are complex trusts that provide distributions to charity for several years and then transfer all remaining assets to the client's children, tax free after all charitable distributions are made. After Wayfair, Is Michigan’s Legislative Nexus Standard the New Bright Line?